It’s pink and sparkly! What’s not to love! 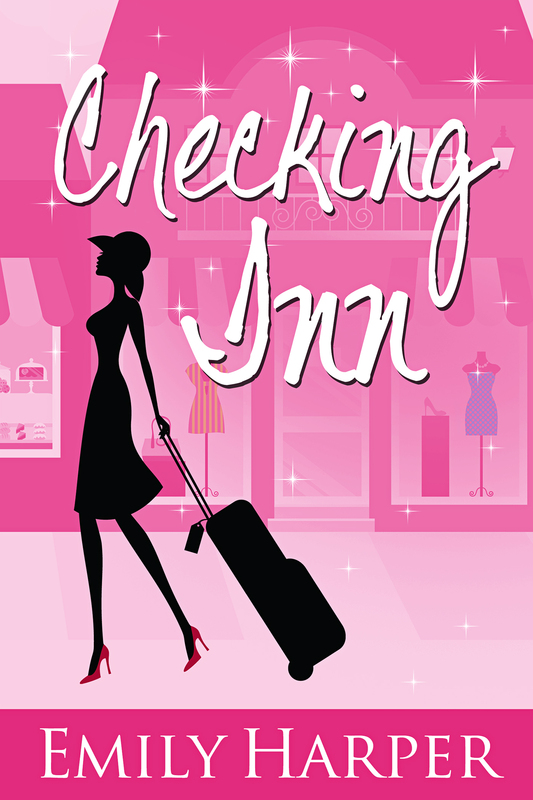 Looking forward to reading Checking Inn! Hope you enjoy! Thanks so much for entering the giveaway and getting White Lies- happy reading! WHAT LADY DOESN’T LIKE A BOOK WITH A FRONT COVER IN PINK…..YES PINK. LOOKS A GREAT SOUNDING BOOK. I love the way those pink shoes really stand out on the cover. And YES, I DO love stationery. I would never keep boots I bought for someone else. Unless they were my size. And my taste. (And of course they are…because I bought them for my sister, and everyone knows she can’t walk in heels, so I’m actually doing her a favor by keeping them, don’t you think?). Thanks so much for the wonderful giveaway. I really neeeed this journal. I’m sure you were thinking of me. I think it’s a gorgeous cover. Good luck with your release!